At Swiftwater, we do are best to provide an interactive adventure experience for all that go whitewater rafting on the St. Louis River. The river supplies fun and challenging rapids all summer long. Once exposed to the river, it seems that most people are keen on learning more about the river environment, or at the very least appreciate the beauty of their surroundings. So this piece is a sampler of some of the flora and fauna to be seen along the St. Louis River and in the woods during late May and early June. Most species of predatory birds have already returned, especially raptors (hawks, eagles, osprey, and turkey vultures). It is common to see bald eagles perched along the tall pines of the river banks or ospreys hovering above the water ready to strike a surfacing bass. 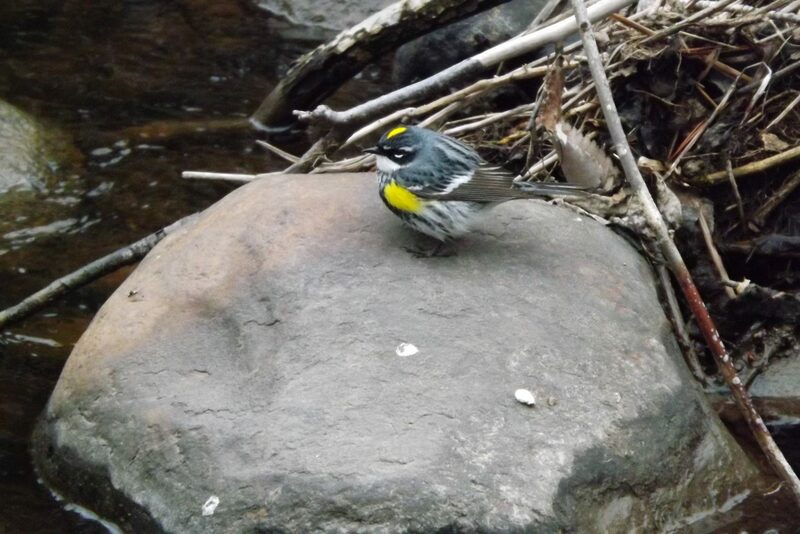 Vibrant colors return too in the form of warblers, colorful birds sporting their spring mating plumage. Some 26 species migrate through or nest in northeastern Minnesota. Warblers are small song birds that have narrow beaks perfectly designed for capturing insects, their primary food source. Some of my favorites are the brightly colored yellow rumped warbler (yes that’s a real name), magnolia, parula, and the common yellow throat. Through the spring forests you can hear the call of the ovenbird, another warbler, as it calls ‘teacher, teacher, teacher.’ Warblers aren’t the only ones calling for love. Several species of frogs are calling for a mate. The first to appear and call are wood frogs, their call sounds like ducks quacking. 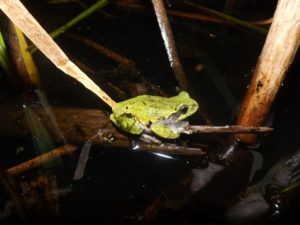 About the same time chorus frogs and spring peepers are calling too. These species breed in wetlands and vernal ponds (spring time ponds that are typically dry by summer). Chorus frogs sound like running your finger along a comb, while peepers…well, they peep. By late May and early June the American toad is looking for a date, its call sounds like the Jetons’ space car (Google that youngsters). And my favorite, the grey tree frog makes its way from the trees to the ponds, a call you just have to hear. Then there is the beauty that makes no sound. Silent and beautiful, ephemerals are spring flowers that bloom before the forest canopy fills in drowning out the sun light. In northern hardwood forests flowers such as wood anemone, violets (wood, sweet, and yellow), trilliums, and Dutchman’s breeches are at peak bloom. Trilliums have seeds surrounded by a fat globule, called an elaiosome, which is like filet mignon for ants and bees: they love it. When ants and bees take the seed for a meal they help distribute the plant. 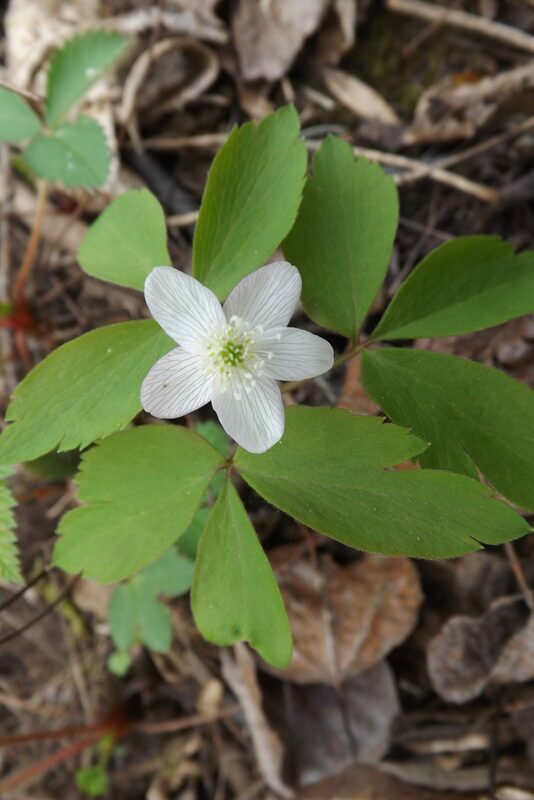 Another interesting adaptation is the wood anemone. This flower closes it petals and wilts when the sun is down or the weather is cool saving its precious pollen for spring pollinators. Late spring is a time of constant change. Water levels fluctuate a lot in late May and June as this is the wettest time of year and a great time for whitewater rafting. Regardless of the water level, the river banks and forests are teeming with life. Hope to see you on the river! Falling into Autumn: Waterfalling That Is!